Cappuccino Maker -what is that? Cappuccino maker is one of the many terms in the coffee makers world, so what is the difference between this and espresso maker? The most obvious answer to this question is that it is someone or something that makes cappuccino. More often than not it is a reference to an appliance. Strictly speaking there is nothing such as this. Every good cappuccino requires an excellent espresso as a foundation. It follows that when we talk about a cappuccino maker we are actually referring to an espresso machine. The oldest and most famous is the Bialetti Mukka Express. This famous brewer actually makes an excellent espresso. So the Bialetti is actually an espresso machine. These same applies to the Delonghi cappuccino maker. The cappuccino has become the most famous and the most popular derivative is of espresso. An excellent cappuccino will require a good espresso and perfectly steamed milk. The milk needs to be steamed at 60°C and should have a fine and dense structure. The steamed milk is gently poured through the foam onto the espresso. A good cappuccino therefore has three distinctive layers; the espresso followed by the steamed milk with a curved foam head on top. Many a coffee shop will finish off the presentation of the cappuccino by dusting the foam head of the cappuccino with chocolate powder. These are the most important elements of an excellent cappuccino. The same care needs to be taken when making a cappuccino latte. The difference between a cappuccino and a latte is that the former is served in a cup and the latter is served in a glass. In essence a cappuccino maker and a cappuccino latte maker are one and the same thing; a good espresso machine. The most obvious question that will follow from this realization is what is a good espresso machine? From the steam driven stove top espresso maker through to the pump driven espresso machine, the range and types of espresso machines is so large that it is difficult to answer that question in a few words. Ultimately a good espresso machine will be judged by the quality of the espresso coffee that it produces. 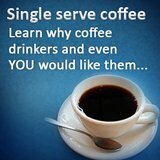 If it makes good espresso then all the other beverages that are derived from the espresso, such as cappuccino, will be good as well. Then you have a good machine. If the espresso is bad then you might as well not bother at all. Why Do People Like This Stove Top Coffee Maker? 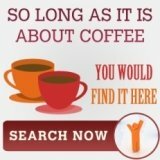 People like the stop top coffee maker for a variety of reasons, one of them is of course its lower cost. Of course, this cappuccino also brews great coffee. How stove top espresso maker produce espresso. 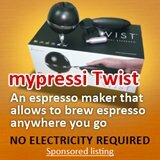 Stove top espresso maker are not using any electricity, so how did they manage to generate pressure to brew espresso? 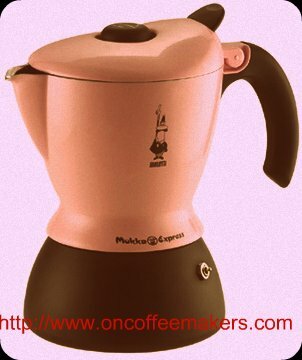 Cappuccino Maker Dual Voltage Is More than Just Important For Traveling. Most people relate cappuccino maker dual voltage model as one that is great for traveling, for me, it is much more than that -it is safe. 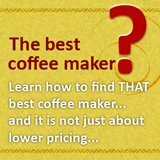 Do you have a great story about cappuccino maker? Share it! Any recommendations on coffee vending machine that can produce cappuccino?